The setting is very similar to Sushi Mentai, made for fast, casual dining. I read an article about how design plays a big role in a restaurant’s turnover, like how ‘cosy’ cafes have this problem of people sitting there for hours ordering just one cup of coffee (like myself lol. guilty as charged). 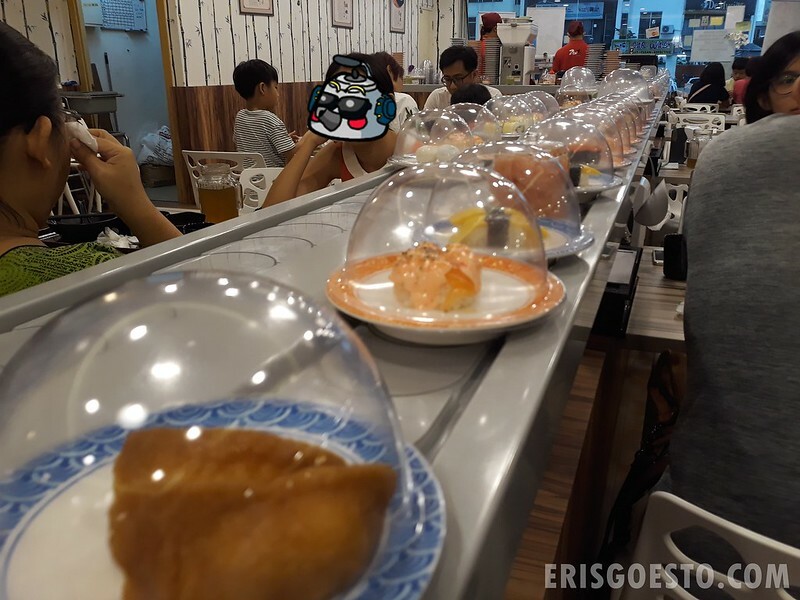 There wasn’t much of a selection on the conveyor belt, but you can order from the menu if something there catches your eye, and they’ll bring it to your table. 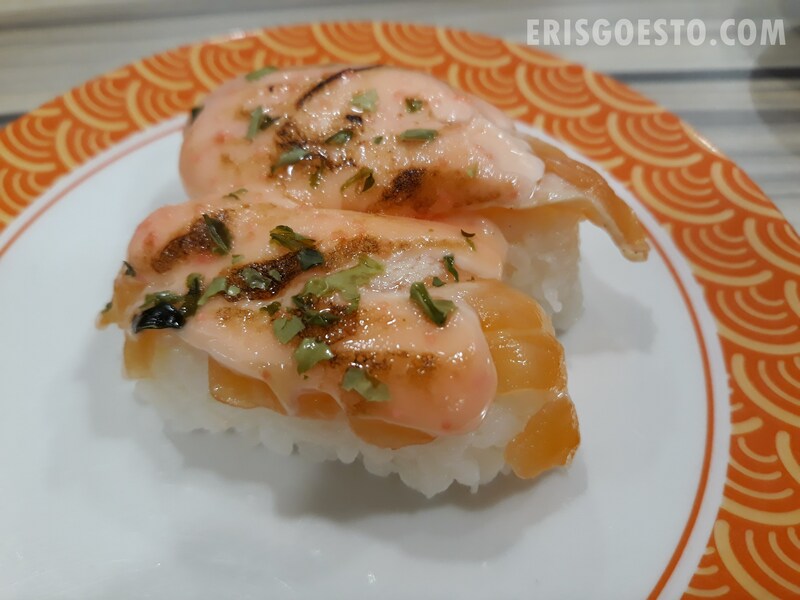 Expect the usual varieties like fried ebi (shrimp), salmon, inari (sweet tofu), tamago (sweet egg), salmon roe and tuna. The salmon cuts were slightly thinner but that is to be expected for the price. Rice was well shaped and didn’t have rogue bits falling all over the place. It was topped with sweet Japanese pink mayo sauce. 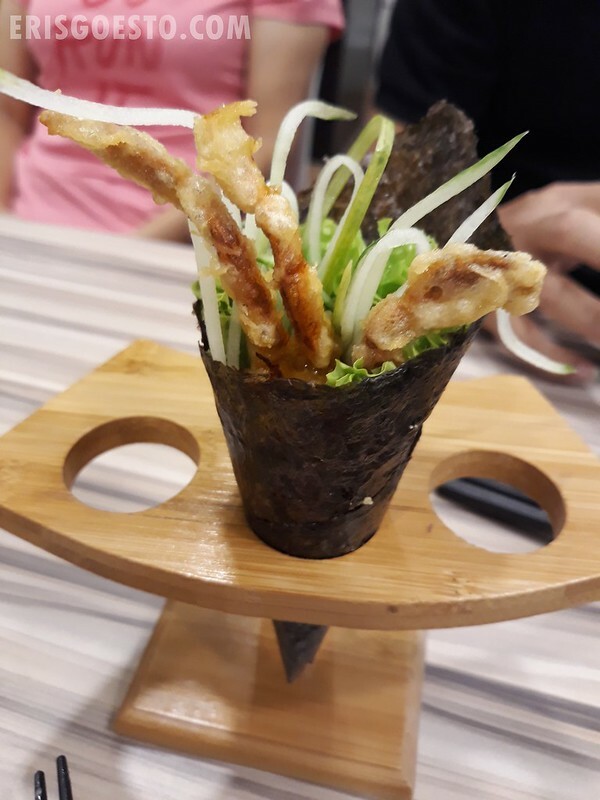 Side of soft shell crab temaki. 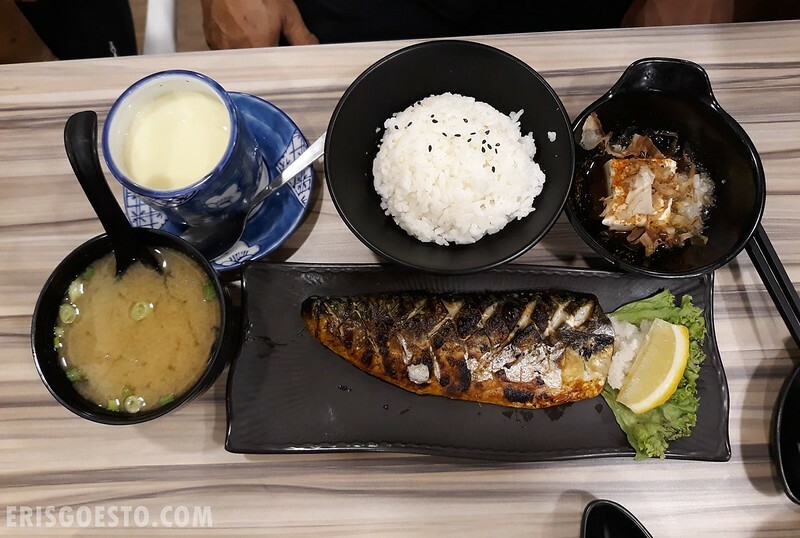 Both moo and pops had the saba (grilled mackerel) set. Fish was done well, and the meal came with rice, tofu, chawan mushi and miso soup. 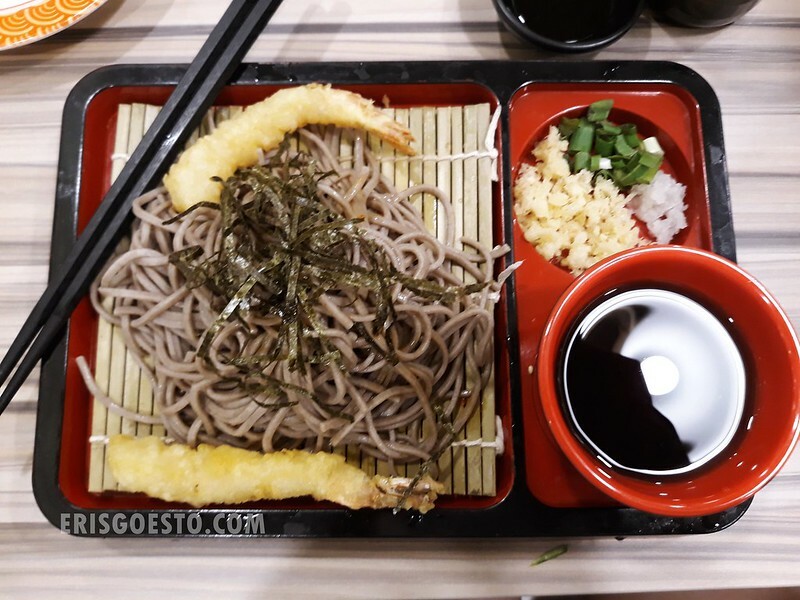 I had the ebi tempura soba, which came served with two fried pieces of lightly battered shrimp, seaweed topped cold buckwheat noodles and a light shoyu broth for dipping. The food was tasty enough although unremarkable. The noodle/rice meals were all below RM20. 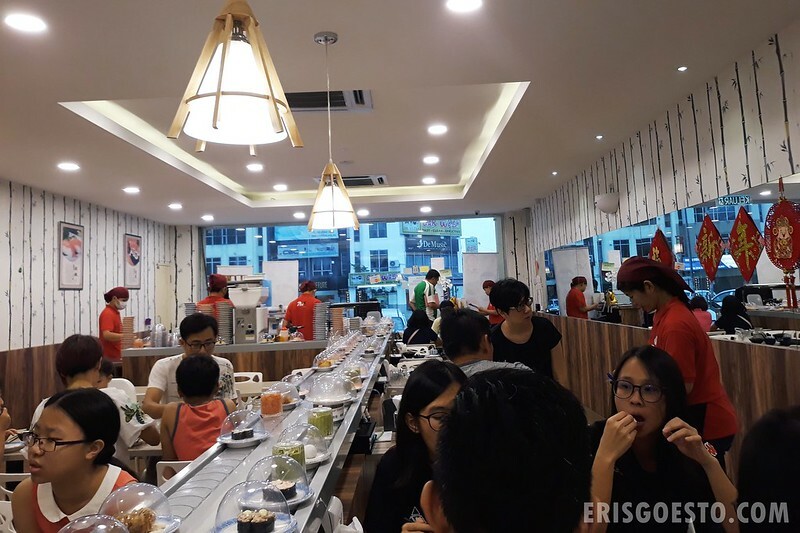 Verdict: The variety is limited, but if you’re looking for a cheap, quick Jap food fix, Sushi ZenS is just one of the options you can go for in Puchong, aside from Sushi Mentai.